The repertoire of this CD is based on an exhaustive investigative work that has taken place in Spanish libraries and musical archives. Some of the pieces are unprecedented and are the result of a thorough work to recuperate them from the manuscripts. Furthermore, most of them happens to be the first recording, to be precise those from Mariano Perelló, Aureliano Valle, Josep Sancho i Marraco, Ricard Lamote de Grignon and José Mª Sanmartín. Among the names mentioned here are those of some composers which have suffered the ravages of history, time and political events. That makes the listener think how unfairly history has treated these artists. The Trio Salduie wants to pay tribute to those artists who have worked to make chamber music possible and whose efforts haven’t been recognized. No doubt can be shaded about the quality of their work and no audience will be left indifferent when listening to their compositions which are jewels worth rescuing from oblivion. In spite of a few isolated cases, the quality and quantity of Spanish chamber music of the 19thcentury cannot be compared tothat from Central Europe. The Spanish royalty was not interested in this genre. Moreover there was no consolidated musical culture among the middle-class.Both factors made it impossible to develop chamber music until the late 19th century. Most of the compositions written for instrumental ensembles were included into morceaux, brilliant caprices or romantic romances. At the end of the century several factors contributed to the rise of this type of music. The compositions evolved and chamber music was included in the programs of concert societies where the great piecesof the European repertoire were played for the first time.The creativity of this genre increased in the Spanish speaking countries thanks todifferent virtuousviolinists, cellists and pianists. The half century of glory of the Spanish music started during the first years of the 20th century. After the predominance of the zarzuela and the género chico during the last part of the 20th century, two new ambitious genres started gaining popularity: symphonic and chamber music. Instrumental music also started becoming more important and those three genres became the main actors of musical creativity. The orchestras, soloists and chamber music ensembleswere the vehicles of the new compositions and included the names of the composers that would enable the continuity of the musical tradition. Isaac Albéniz, Enrique Fernández Arbós, Enrique Granados, Manuel de Falla, Joaquín Turina, Oscar Espláor Jesús Guridi were among those composers. The first half of the 20thcentury is divided into different parts. The first one is clearly influenced by nationalism. Manuel de Falla sets the foundation for the second part helped by composers of the “Generation of ‘27” or composers from the “Republic”. The Musical Generation of ‘27 could be described as “ignored”. Such adjective could still be applied to it during the third part of this first half of the century when it became the “Lost generation”. It is the moment of the so-called “diaspora” that triggers a complete chaos that hasn’t been fully recovered yet. Finally comes the post-war time with the Generation of ‘58, also called “New Music”. Itsobjective is recovering the time lost. The renewal of the Spanish music and its entrance into modernity is due to the comeback of chamber and symphonic music, cinematographic music and the interest in tradition that alternates with the new languages, as well as thanks to a large and extended list of new tendencies. Although this is the beginning of a difficult and not always brilliant phase in Spanish music, it achieves the continuity former generations had fought for. The repertoire of this CD is based on an exhaustive investigative work that has taken place in Spanish libraries and musical archives. Some of the pieces are unprecedented and are the result of a thorough work to recuperate them from the manuscripts. Until late into the 20th century the charm of Spanish chamber music was mainly based on simple details like its uncomplicated technique. Compared to German or even French music, our post-romantic music was not very popular and therefore its compositions weren’t so successful. However, the main reason for this lack of interest was that the technical complexity was only applied to lyric theater and symphonic music. That is why until the more complex pieces of Tomas Bretón and Conrado del Campo appeared, the audience of chamber music felt closer to short, emotional and simple pieces rather than to complex ones.During the 18th century the audience wasn’t used to the grandiloquence of the piano and preferred the guitar which was a clear sign of such taste. 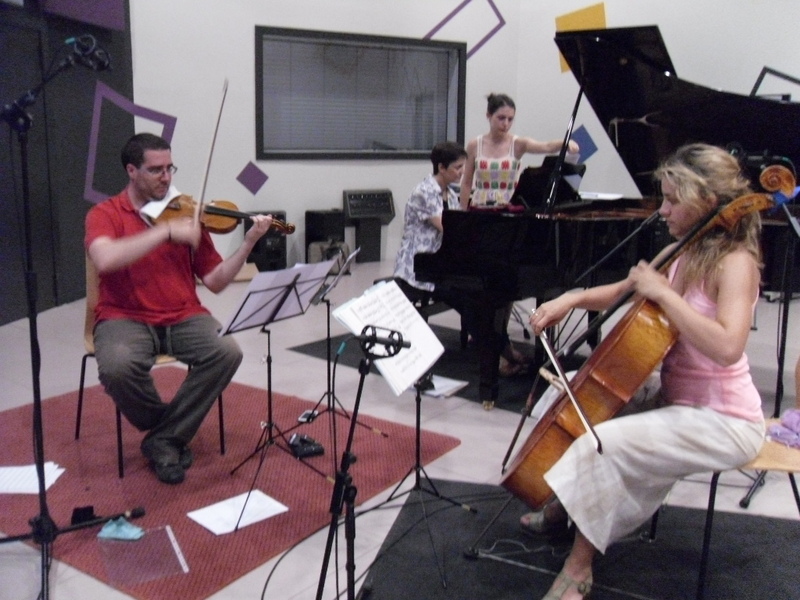 In this CD the Salduie Trio presents eight almost unknown compositions for piano trio. All the works are from Spanish composers of the 19th century but have a characteristic late European romantic touch. The last piece is from an artist of the 20th century and clearly shows harmony-related and technical innovation. The other compositions lack these characteristics. That is neither good nor bad since many European masters didn’t try to achieve any of those. What the audience will enjoy is a very sensitive music with a decadent touch showing that it is located between two periods. The works are wonderfully performed by this trio, a clear supporter of this genre. All this can be clearly perceived in the composition Tres impresiones para trio con piano from Mariano Perelló. 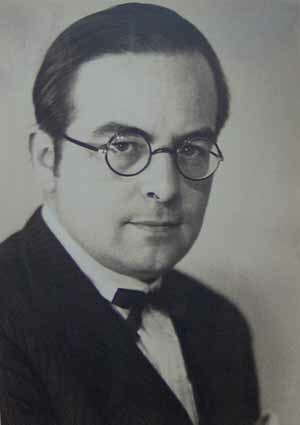 Mariano Perelló is an almost unknown composer. 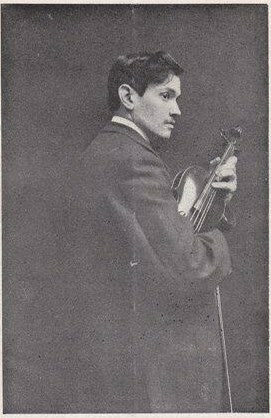 He won a place in the Spanish musical history thanks to his work as a violinist and to his collaboration with his dear friend Isaac Albéniz. They both spent a lot of time together in the period preceding Albéniz’ death. With Ricardo Vives (piano) and Pere Marés (cello) he founded the Barcelona Trio. They travelled around Spain and to several European and American countries. It is likely that Perelló composed this piece, performed for the first time in 1922, especially for his trio. This work reflects the great admiration he felt for Albéniz as well as for the region of Andalucia, magnificently portrayed by his friend in his composition Suite Iberia. 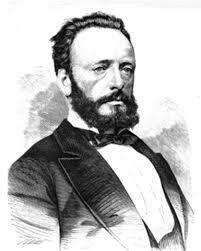 Aureliano Valle was one of the composers who built a cultural bridge between the Basque Country and the Paris from the end of the 19th century. His aim was trying to bring French cosmopolitism into the Spanish culture. He was taught in Bilbao by Nicolás Ledesma and replaced him as organist at the Basilica of Santiago. In Paris Antoine Marmontel, a well-esteemed teacher and master of Debussy, trained him. The short composition Nocturno, present in this CD, has only one melodic line first introduced by the cello and then slightly varied. However, this is only a hypothesis since the original piece is lost. This composition could also be a part of Valle’s zarzuela Al buen camino, performed for the first time at Bilbao’s Workers Board in 1906. Valentín de Zubiaurre is another Basque composer, also disciple from Ledesma and contemporaryof Valle. But compared to this one, Valentín de Zubiaurre had a larger national and international reputation. He spent almost his whole life in Madrid and composed many pieces. Two of his operas were performed at the Royal Theater which was something out of the ordinary for a composer who was neither Italian nor dead at the time. His work Una siesta is a short chamber waltzwith different versions he composed for different ensembles. Only by listening to it, can the audience understand this fragile, evanescent and slightly nostalgic music that transports you to those 19th century loungesthat were a clear example of the aristocratic society about to disappear overtaken by the new modernist bourgeoisie. A similar feeling arises when listening to the short waltz Maripilar from Josep Sancho Marraco. Josep Sancho Marraco was born in a family of musicians and alsoworked as a chapel master in the cathedral of Barcelona. He combined his duties there with the composition of a large catalogue of pieces some of them following the Catalonian Noucentisme movement. However, all his work hasthe European and individualist touch that characterizes thisperiod. Despite having a more modern style, Ricardo Lamotte de Grignon, a close friend to Josep Sancho Marraco, lived in the same milieu as this one. Together with Gerhard, Toldrá, Mompou, etc. he was part of the Catalan group “Los ocho”. They proclaimed a unitary Catalan music inside the European tendencies. He composed an extroverted and direct music foreign to any grandiloquence. The Fox-trot you have the chance to listen to here is a good example of his music in spite of being a minor piece. Fox-trot was a popular type of chamber music mainly due to its connection to the new modernist youth rather than to the old fashioned aristocratic dance. Many musicians from my generation still remember the memorable concerts of the 70s performed by three well-known members of the RTVE Orchestra, the youngest Spanish orchestra at the time. Those composers were Hermes Kriales (violin), Enrique Correa (violoncello) and José María Sanmartín (piano). This amazing trio brought back to life many pieces of Spanish chamber music.In addition, their style perdured into the Mompou Trio. José María Sanmartín was also a talented composer trained by Honegger in Paris and with a small but impressive catalogue of pieces from which only a dozen reached the audience. Among those is the Suite Arabarra. Thanks to this piece he was awarded the National Music Prize in 1963. The Salduie Trio plays here some of his compositions as a three-part work: first some variations from the Agur Jaunak, a symbolic welcome or farewell anthemof Basque origin; a lullaby as slow middle part, and finally variations from ElVito, really foreign to the harmonization popularized by García Lorca. 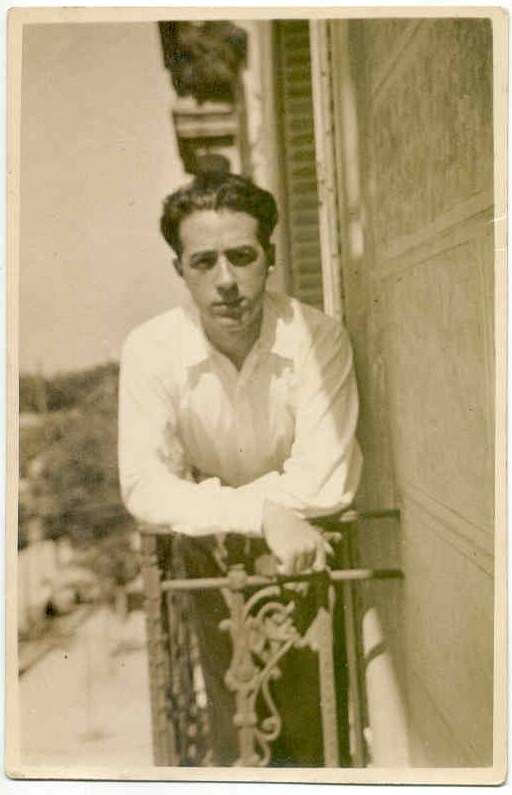 Even if his lyric production has overshadowed his musical and symphonic work, Pablo Sorozabal’s first thought was to start a career as a composer ignoring the world of zarzuela that fulfilled the Spanish musical life during his youth. However, his early success in this field influenced his life in such a way that from then on he dedicated himself to scenic music. In order to improve himself, Sorozábal travelled to Paris, Berlin and Leipzig during the 20s. It was in the latter city between 1923 and 1925 where he wrote some pieces based on Basque popular songs: Symphonic Variations on a Basque Theme, Suite vasca and Dos apuntes vascos, all of these for orchestras. He also composed Dos piezas para violín y piano and Dos piezas sobre cantos vascos. The latter is included in this CD. Sorozabal’s chamber music is light and always melodic. I am convinced the essence in his zarzuelas also imbueshis non lyrical work. Both short Basque chants are limpid ad luminous with a clear sad touch. 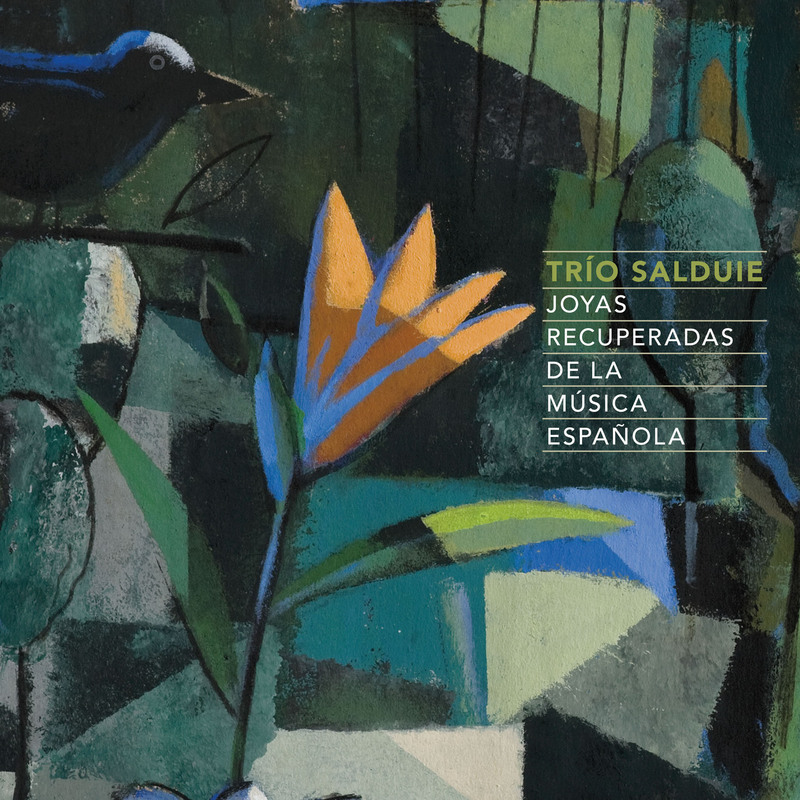 After delighting the listener with modest compositions, the Salduie Trio has decided to finish their CD with four masterworks of chamber music from the genius Ernesto Halffter. The listener will enjoy“thoughts” transformed into sound. Three are dedicated to three close friends (Poulenc, Salazar and Stravinsky) and the last one is a tribute toone of the most “luminous” works of the 20thcentury, the Prélude à l’après-midi d’un faune (Prelude to the Afternoon of a Faune). This composition has a strange history. It was composed in 1922 when the author was only 17 years old (!). The following year Halffter got acquainted with Manuel de Falla and he showed him his work asking for his opinion. De Falla examined it and returned it signed with a note saying “Bravo”. In spite of that, Halffter concentrated on collaborating with De Falla and, in a way, forgot about the trio composition he wrote as a teenager. Two years after Halffter’s death, the Mompou Trio managed to recuperate Halffter’s work. They finally performed this trio piece in 1991 at the National Music Auditorium, 70 years after it was composed. When listening to this piece, the audience was surprised and filled with pure joy. This masterwork is a good example of those wonderful compositions sometimes unfairly forgotten, but then salvaged by admirable saviors, like the Salduie Trio, who bring them back to life. His creative evolution reflects without comparison the development of Spanish music during the second half of the 19th century.He became with Chapí, Bretón, Chueca and Monasterio what has come to be called the second generation of Spanish romantic composers. His artistic life can be divided into three periods: the first one goes from 1845 to 1861 andtakes place in Bilbao and Venezuela, the second one goes from 1861 to 1874 and includes his first stay in Madrid and his trip around Europe and the last one, from 1875 to 1914, is that of the Royal Chapel of Madrid. Although his music embraces all genres, there is no doubt that religious music has the most important place. After his most experimental compositions full of allusions to traditional music and references to Italian lyricism, he became more conservative, possibly as a consequence of his newly gained position as master of the Music Chapel of the Royal Palace in Madrid. He admired the traditional music from his region and to honor it he wrote several pieces called “zortzikos” that have a clear Basque essence. Almost all his work could be recovered thanks to his youngest daughter, Pilar, who was a close friend of important Spanish composers such as Manuel de Falla, Felipe Pedrell or Adolfo Salazar. 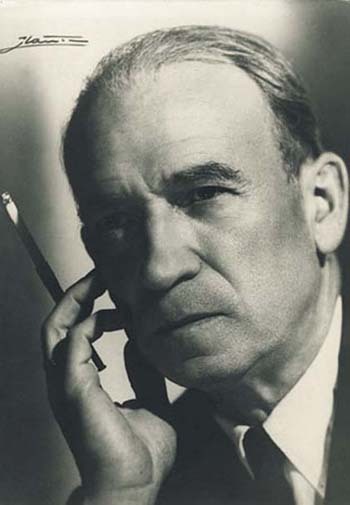 He is one of the most prolific composers of the 20th century. He wrote more than 500 pieces in total both sacred and secular. Among his religious compositions there are more than 15 masses, antiphons, hymns, gozos, canticle etc. His polyphonic pieces can be compared to those of the best composers of all times. The same creative and technical beautiespresent in his sacred work are also present in his secular pieces. Pieces forconcert choirs, oral and piano songs, habaneras, sardanas para coblas or for choirs, harmonization for popular songs, compositions for orchestras, bands, trios, quartets or quintets etc. are among others. He retouched more than 200 pieces from composers such as Haendel, Bach, Beethoven, Verdi, Wagner, Grounod, Chapí etc. so that they could be played by small ensembles. His style was always polyphonic and followed the example of the big composers of the 17th century. His prolific activity is not only due to his working capacity and a suitable surrounding – he was Chapel Master of Barcelona’s Cathedral – but also to his early start. He started composing at 14. He fully experienced the cultural boom of the modernist Barcelona and his compositions were soon recognized and brought him more than a hundred prizes. He is the son of the composer Joan Lamote de Grignon. He got his first musical instruction from him at home. Later he went to the Conservatory of the Liceo and his own father taught his how to compose. He started composing in the 1920s. He was a neoromantic composer open to all type of experiments with modern technique and a very creative and sensitive artist. He was familiar with the instrumental music world and very interested in the music of his time. His pieces are clearly eclectic and at the same time sober and scrupulous. He touched all genres: scenic music, orchestras, choral music, lieder, sardana and transcriptions for bands. 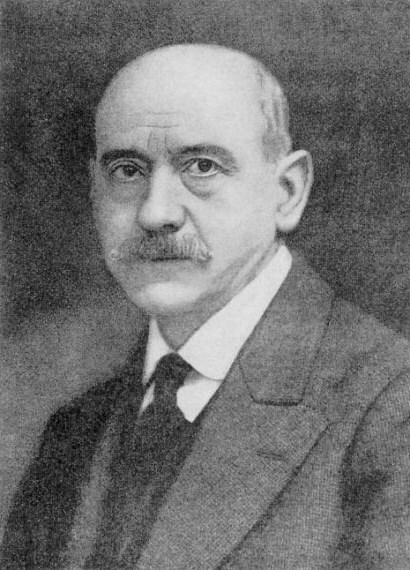 He wrote music for dancesusing the pseudonyms Henry Frank or Amadís de Gracia. Together with his father hejoined different intellectual movementsduring the Spanish civil war. That led to his destitution as responsible of the Municipal Band. After this he devoted himself to composing and pedagogy. Fox-Trot comes to life with the first jazz orchestras. It is named after the dances of dark-skinned tribes which are executed and an imitationof the movements of animals. Jazz entered the Spanish society through this dance. There is very few information about his compositions due to a lack of documents about the artist himself. The little knowledge about him available comes from quotes and references dated back to the time he lived. He studied with Inchaurbe and Ledesma and composed many pieces, many of them were sacred. He lived in Paris where he was a taught by Marmontel and Thomas. After returning to Spain he replaced Ledesma as organist at the Cathedral of Santiago. He composed pieces for choirs and zarzuelas. He also modified Basque songs for newly founded vocal groups such as Orfeon Bilbaino. According to information from newspapers of the time he harmonized many popular pieces for chorales and directed similar compositions adapted by others composers. He was one of the main instigators of the new Basque lyric. He prepared and directed operas composed by Guridi, Usandizaga and Intxausti. That supposed a complete change in this genre. He is worth being remembered because of his key and constant role in the musical evolution and his influence in the choral repertoire. He was also a key figure in the renovation of sacred music and the birth of the “new” Basque opera. Although he left an important written legacy, very little remains from it. There is almost nothing to be found in archives, libraries and public places. After finishing his first musical theoryand piano studies in the music school of his city of origin, he devoted himself to violin under the direction of the Master Solá. Following Albéniz’ advice, he continued his musical educationtaught by Crikbook, music teacher in the Conservatory of Brussels, who at the time lived in Barcelona. In 1902 he was awarded the prize for the last level of musical education and then left to Brussels to extend his knowledge. He was first violin in the Ysäye orchestra of Brussels and played in several concerts together with Crickboom. He was one of the promoters from the Association League of Catalan Music as well as director from the Chamber Music Association of Barcelona. He taught in the Conservatory of Vizcaya and in the Conservatory of the Liceo of Barcelona. He founded Barcelona’s Trio together with the pianist Ricard Vives and the cello player Pere Marés. The trio started its career in Berlin and after that toured around Europe and America. The composition “Las Tre sImpresiones” is indeed dedicated to “my friends and colleagues from the “trio”, Vives and Marés”. As a teacher he made a significant contribution to the world of music. In 1930 he published a well-known project to reorganize musical instruction called “Our Music Conservatories. What they are and what they should be”. His life runs parallel to Spanish history. He lived the painful years of the First World War and managed to successfully survive in the Republican Madrid where the production of zarzuela clearly diminished. This phase ended up with his composition of “La Taberna del Puerto”, played for the first time three months before the National uprising. The civil war had an important impact on his life.His support for the liberal cause led him to being quite isolated after the fight. This isolation resulted in a deep feeling of sadness he never overcame. His scenic compositions are a combination of lyric fluency and a lively orchestration with a clear theatrical sense. His favorite pieces were “Katiuska”, “La del manojo de rosas” and “La taberna del Puerto”. His dead meant the end of the last phase of the zarzuela. In spite of his eclectic style influenced by artists such as Debussy, Puccini or Walton and by Hollywood musicals, he integrated all these elements in his own way. He used Basque traditional music to compose many pieces. Characteristic of his work are the use of popular pieces and references to authors from the 18th century or the Golden Spanish Century. Spanish composer perceived as the only direct disciple of Manuel de Falla. 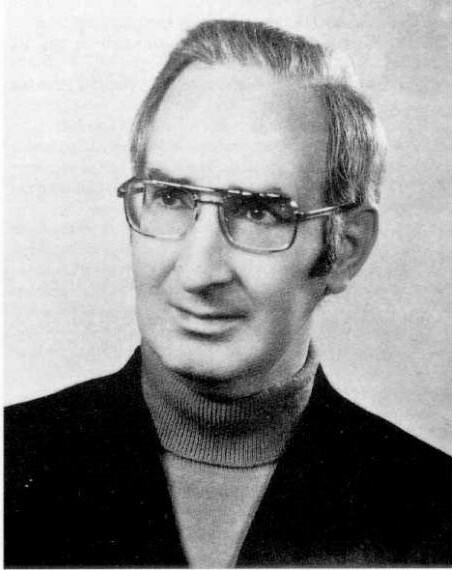 He was an important member of the “Eight Group”. Important personalities of the musical world of his time were also members of this group. Honoring the teachings from his Master, Manuel de Falla, he strictly respected the eternal laws of rhythm and tonality. He was esthetically linked to the poets of the Generation of ‘27. He was a close friend of many of those artists such as Ortega y Gasset, Federico García Lorca, Rafael Alberti, Gerardo Diego and Salvador Dalí. He was a free creator, spontaneous and passionate influenced by Falla and by the polychromy of the 17th century music, as well as by Stravinsky, Ravel and Poulenc. “Hommages. Petite suite pour trio” (violin, cello and piano) had its premiere in the National Auditorium from Madrid on the 21st of November 1991 and was played by the Trio Mompou. This piece was composed by Halffter between 1922 and 1923. It was a tribute to four composers whose work and artistic personalities influenced Halffter who was then 17 years old and felt genuine admiration for these artists. That is why he composed these four small pieces all called “Hommage” (In honor of) and written “à la manière de” which means “in the style of”. The first one is dedicated to Francis Poulenc and is inspired by his composition “Mouvements Perpetuels”. The second one goes to Igor Stravinski and his musical language. The third piece, that is called “Parfum from Arabia”, is for Adolfo Salazar who would soon become famous with his piece “Arabia” forstring quartet. The last one is for Claude Debussy and is inspired by his “L’après-midi d’un faune”. The tonal play of the four compositions reveals the author’s talent and technique acknowledged by Manuel de Falla who wrote “Bravo” by hand on one of them while studying them. He also wanted to pay tribute to Gabriel Fauré, but from this intention only a page with some notes is left. He started to study piano in the Conservatory from Vitoria. He continued in Paris with Ives Nat and Alfred Cortot. In Paris he learnt composition with Honegger. In 1955 he was awarded the first prize of piano from the Parisian Conservatory. He resumed his studies in Geneva and Berlin. He got a scholarship from Unesco’s International Music Council to increase his pedagogical knowledge. With this goal he visited several European Music schools and analyzed the different didactic and piano interpretation systems. He was incumbent pianist for the RTVE orchestra. He founded a trio together with the violinist Hermes Kriales and the cellist Enrique Correa, also members of the RTVE orchestra. The trio was very successful. He was a virtuous pianist and a very talented composer. 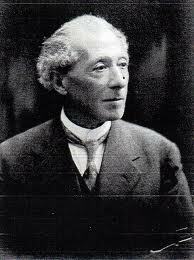 He wrote pieces for piano, for oral songs and piano, chamber music, choral, Christmas carols, symphonies as well as music for orchestras. Some of them awarded with world prizes.